for $295,000 with 3 bedrooms and 2 full baths. This 1,270 square foot condo was built in 2006. 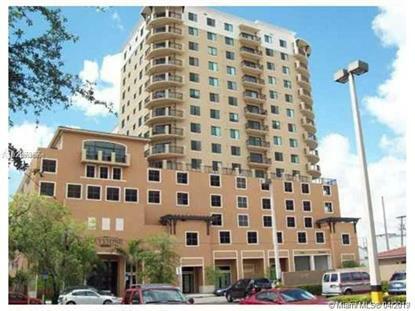 3/2 UNIT FILLED W/INVITING NATURAL LIGHT.LIVING ROOM ACCESS TO OVERSIZED BALCONY/TERRACE W/GREAT VIEWS. GRANITE COUNTERS IN KITCHEN & BATH, CERAMIC TILE IN KITCHEN, DINING, LIVING, & LAUNDRY ROOMS LAUNDRY/STORAGE ROOM W/FULL SIZE W/D.WALK-IN CLOSET IN MASTER BEDROOM. IMPACT WINDOWS & DOORS. 2 ASSIGNED PARKING SPACES IN GATED GARAGE. POOL, GYM, EVENT ROOM, SECURITY IN LOBBY.WITHIN MINUTES TO MIRACLE MILE, SHOPS, REST, CLOSE TO AIRPORT, DOWNTWN MIAMI AND BRICKELL.